There’s quite a bit of history between the Nebraska coaching staff and Oregon’s. That alone makes the Huskers matchup with the Ducks an interesting one. Add in all the hype around Oregon being a ranked team (and Nebraska wanting to be one) and you’ve got the makings of a big game. To get a better feel for what Nebraska has to look forward to from Oregon, we reached out to The Oregonian/OregonLive’s Andrew Greif. Having covered the Ducks’ football program for some time, Greif has good insight into what the Huskers need to do win and what the relationship is really like between the two coaching staffs. Q: How can Nebraska beat Oregon? AG: Nebraska must find a way to blunt Oregon’s offense, which was sharp against Virginia by scoring on five straight drives before halftime. Typically, teams in the past who have found success have run the ball to bleed the clock and keep UO’s offense on the sidelines. After Virginia ran for 193 yards against the Ducks last week, there is an opportunity for Nebraska to do that. But it’s not enough to hold the ball for long stretches; Oregon needs little time to score. The onus, then, is on opponents to turn those possessions into touchdowns, not just field goals, because UO would like to turn this into a shootout. Q: How can Oregon beat Nebraska? AG: Oregon can beat Nebraska by running the ball with All-American running back Royce Freeman to open up its several other explosive options at the skill positions. Given that Nebraska will try to take Freeman away, the Huskers will try to get graduate transfer quarterback Dakota Prukop to beat them. He’s been creative on third downs and accurate on downfield passes, and must continue to do so Saturday. Defensively, Oregon has played well in stretches but can’t allow needless penalties to extend drives. Q: How do Oregon fans feel about the transition to Brady Hoke’s defense at this point? AG: Everyone I’ve talked with believes the move to hire Brady Hoke was the right one but given how early this season is, there’s an element of wait-and-see with how much progress he can make without a full recruiting class of his own players running his system. Fans do like his honest commentary on the defense’s progress, or lack thereof, however. Q: What’s the read on Dakota Prukop at this point? Better than advertised? As advertised? Work still to do? AG: Prukop was an All-American at the FCS level, so expectations were high through spring, but then wasn’t particularly impressive during the spring game, which tempered things a bit. So far, my read is that he’s been better as a passer than expected, with six touchdowns and zero interceptions and some clutch third-down conversions. His running ability has yet to gash a defense, but it’s a threat UO didn’t have from its quarterback last season, and one defenses must respect. Q: There’s history between both coaching staffs. 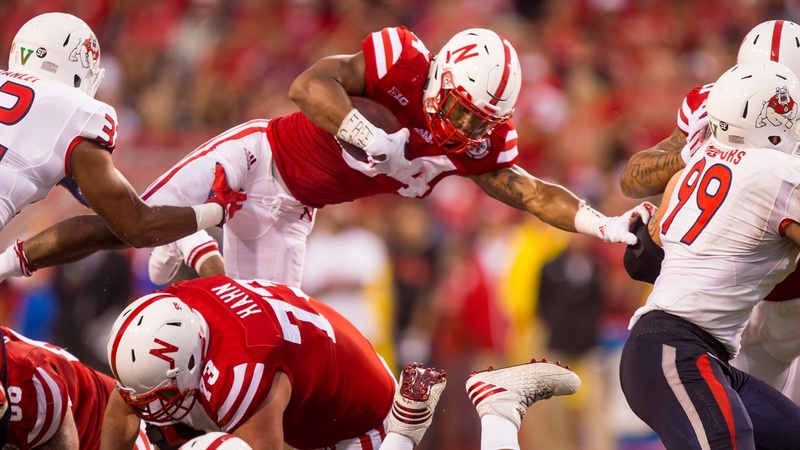 What do you think this game now means between the two with Riley & Co. at Nebraska? AG: Coaching staffs are friendlier with each other than I think fans realize, especially those 45 miles away from one another in Eugene and Corvallis. Oregon’s offensive line coach has known Riley since meeting him in 1980 when they ran a football camp together at Oregon. But obviously, a lot of satisfaction around UO in recent years came at Riley’s expense, first from blocking OSU from the 2008 Rose Bowl and then clinching UO’s own berth in Pasadena in 2009. It sounds as though Mark Banker has no love lost for the Ducks because of that experience, and with both programs hoping to use this game to launch into their respective conference title discussions, this game means a great deal to both. Q: Do you feel like you’re in a spaceship when walking through Oregon’s football facilities? AG: Oregon’s facilities are indeed futuristic, in parts. However, because they open new facilities so often that one-up each other, even what was once cutting edge now looks almost regular by comparison. The Hatfield-Dowlin Complex is still one of the more advanced football offices in the country and yet the newly opened Marcus Mariota Sports Performance Center makes it look dated, several players have said. Either way, only a few places in the country could ever hope to have one facility like that. Through Phil Knight’s largesse, UO has both.